Yesterday when I spoke on the Kingdom I had to keep stopping to catch my composure. Something about the way the Holy Spirit was at work and the beautiful openness of these students kept getting caught in my throat. I love it when God does that, but It’s really very hard to teach when you’re fighting back tears. The great joy of this week has been watching the young people come alive to the idea of God’s Kingdom. Next week we’ll do it all over again in Macedonia. 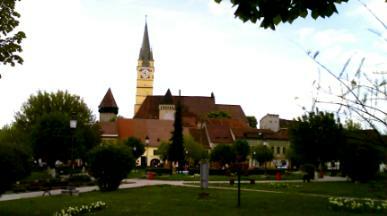 The town Square in Medias, Romania. Thank God for those tears. They come from a heart that learns as it teaches. 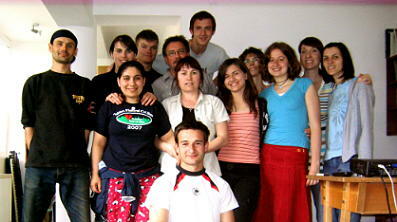 Blessings and prayers for more of the same in Macedoni! we miss u so much!! u have blessed us a lot through the teaching of Kingdom!!! I can hardly wait to find out more and to understand it more!